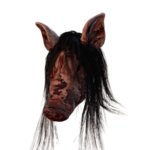 Amanda Young or "The Pig" is one of 15 Killers currently featured in Dead by Daylight . 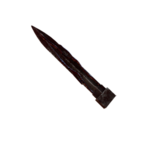 She was introduced as the Killer of CHAPTER VII: The SAW™ Chapter, a Chapter DLC released on 23 January 2018. She originates from the 2004 Horror Movie franchise of the same name, SAW. The Pig is a tormenting Killer, able to crouch into stealth mode, then ambush Survivors from a short distance. She can also apply Reverse Bear Traps to downed Survivors, forcing them to remove it before the timer runs out, triggering an instant death. 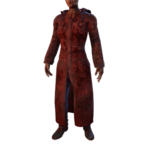 Her personal Perks, Hangman's Trick , Surveillance & Make Your Choice , give her more Map control and expose altruistic Survivors. The focus of her Perks is on pain and torture. A Hook is not that easy to flee from and all Survivors will be seriously tested when it comes to Skill Checks. When John Kramer, better known as Jigsaw, planned for his son to be born during the Chinese Zodiac's Year of the Pig, he wanted it to represent fertility and rebirth; a new beginning for him and his wife, and the start of a charmed life for his son. But that plan was shattered on the night that a junkie broke into his wife's clinic, hoping to score. After this event resulted in the death of his unborn son, John finally caught up with the junkie, making him his first test subject, and The Pig was changed forever too. It became a representation of the disease that was rotting John from the inside, a reminder that we are just meat unless we elevate ourselves by our actions, by grasping life from the jaws of death. The Pig became a vessel, an agent of Jigsaw, conveying the subjects to their test. For some of those who emerged victorious, The Pig could still be a rebirth, into their new lives as apprentices, even disciples, of Jigsaw. That was the case for Amanda Young, a troubled soul, whose life had been a catalogue of harm, both to herself and those around her. That changed when she faced, and bested, Jigsaw's test. Deciding her life was worth something, she became devoted to Jigsaw's cause, ready to take over when cancer consumed him. But she became more dependent on John, her anguish at his impending death combining with a belief that their test subjects weren't capable of saving themselves, of being reborn in the crucible of the games. Seeing this, John presented her with another game, another chance to save herself, but Amanda let her rage and jealousy rule her actions. She failed the test and took a bullet as a consequence. Bleeding out on the tiled floor, darkness engulfed Amanda's vision, accompanied by a sound like creaking wood. Then she was in a forest, once more viewing the world through the eyes of a Pig. Trees surrounded her, their branches clawing at her from all sides. Waves of panic washed over her and she could hear her breath reverberating inside the mask. Had she been damned, cursed to spend her days here, in this guise? Or maybe this was another test? Maybe she hadn't failed at all? John always thought one step ahead of everyone else, planned for every eventuality, and he would never give up on her, surely? Jigsaw may have gone but he had passed her onto another. A being for whom she would be The Pig again. Ultimately, she saw now that she had been right in the choices she had made. The time for games was over. There was no chance of redemption for any of them. They were meat, and meat was destined to die. 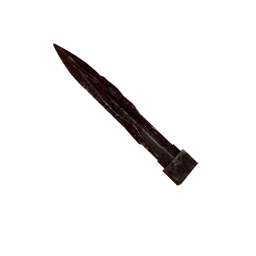 Once obtained, other Killers will be able to find The Pig's Perks in their respective Bloodwebs from that point onwards. 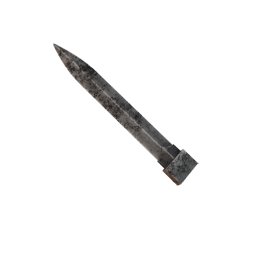 A razor-sharp blade, attached to a mechanical contraption that can conceal or extend it. Forever devoted to her master's cause, she punished the ungrateful and the guilty with slyness and murderous puzzles. 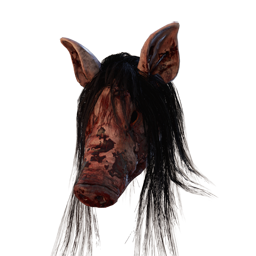 The Pig can move stealthily, dash in ambush attacks and put deadly Reverse Bear Traps on Survivors' heads. Reverse Bear Traps trigger automatically beyond the Exit Gates . Reverse Bear Traps timers start when a Generator is completed. Survivors can free themselves from Reverse Bear Traps by searching Jigsaw Boxes found around the Map to find the correct Key.. Survivors take 12 seconds by default to search a Jigsaw Box. Reverse Bear Trap timers expire in 150 seconds or 2 minutes and 30 seconds by default. The crouching animation or "transition" takes 1.3 seconds . The Dash lets her cover a distance of 16 metres in 2.5 seconds. Upon crouching, her Terror Radius and Red Stain fade to 0 metres over 4 seconds, and vice versa when uncrouching. The exception to this is an Ambush Attack, which will increase the Terror Radius to its default range immediately after procuring the loud roar. 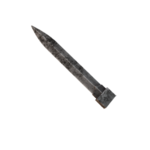 Common Symbol of a broken way of life. Reminiscing about her past-self hardens her determination. Slightly decreases the Ambush Attack miss cool-down. Common The medical file of a cancerous man. Fills the reader with dread and recklessness. Slightly decreases the Ambush Attack charging time. Common Leather straps that hold fabric in place for nimbler movement. Slightly decreases time it takes to crouch. 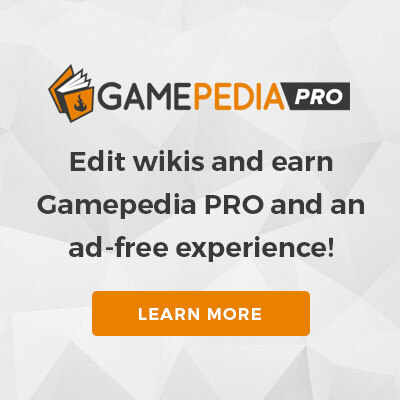 Uncommon A recording of Jigsaw, explaining the game's rules to Amanda. Reminiscing about her past-self hardens her determination. Uncommon A modification to the Reverse Bear Trap: sharp blades attached to the Trap's interior lacerate the victim with every movement. Survivors caught in a Reverse Bear Trap suffer from the Haemorrhage Status Effect. Uncommon A latched wooden box with a satin lining, offered as part of a last will. Increases available Reverse Bear Traps by 1. Uncommon A modification to the Reverse Bear Trap: the heavy cloth face mask, laced with a sedative, partially suffocates the target, making it hard to concentrate. Survivors caught in a Reverse Bear Trap suffer from the Blindness Status Effect. Does not affect the Jigsaw Box highlight. Rare A modification to the Reverse Bear Trap: a poison that is not fatal, but weakens the body and makes it nearly impossible to recover fully from any effort. Survivors caught in a Reverse Bear Trap suffer from the Exhaustion Status Effect. Rare A modification to the Reverse Bear Trap: mouth spikes, covered with crusty and volatile rust spots that make injuries particularly difficult to heal. Survivors caught in a Reverse Bear Trap suffer from the Mangled Status Effect. Rare A disturbing, yet brilliant, Trap design laid down on paper and annotated by Jigsaw. Increases available Jigsaw Boxes by 1. Moderately increases the Reverse Bear Trap death timer. Very Rare A timer that has been fiddled with. A spring in the mechanism forces the gears to turn faster. Moderately reduces the Reverse Bear Trap death timer. Very Rare A disturbing, yet brilliant, Trap design sketched in detail on a sheet of paper. There are currently 2 Achievements related to The Pig. Players may customise their Character by choosing one outfit style from each category. 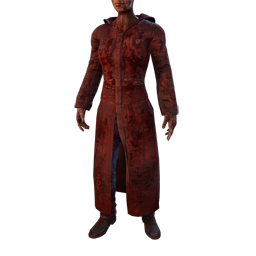 Blood-stained attire is obtained after The Pig reaches Level 50 and prestiges. Increased the Terror Radius from 28 metres to 32 metres. Reduced the fade-in/fade-out timer from 6.6 seconds down to ~4 seconds. The Reverse Bear Trap's main purpose is not to kill Survivors, but stall them. Use them as distraction tools to force Survivors to lose time and make mistakes. Reverse Bear Traps can be used as early or endgame tools. If you can trap a Survivor before the first gen is done, you will have at least one Survivor unable to work on Generators very soon as they will be searching Jigsaw Boxes instead. Remember not to actively follow the Survivor so the timer won't stop ticking and trap the next victim as soon as possible. If using the RBTs as endgame tools, apply them as soon as there are two or one Generators left. Since they won't be able to exit the trial, they will be easy prey and once you hang them, they turn into bait for other Survivors and you don't need to worry about them escaping as soon as they are rescued. It's easy to keep track of trapped survivors, since the RBTs make different noises constantly while the Survivor walks or runs. If searching Jigsaw Boxes they also grunt louder and you can hear more metallic noises than the usual coming from the Boxes. Crouching is a good way to make a Survivor mistake you for another Survivor. Stay in badly lit areas and try to hide your face using the scenery if you're close to a generator, especially in the beginning of the match. However, Survivors can hear you breathing, similar to the breathing of The Shape . Once you see a survivor you can try to ambush them by crouching, which turns your terror radius off, and waiting for them alongside a point of interest that is close by. Thickened Fog greatly helps Amanda, since it is much easier for Survivors to think you're one of them while crouching, especially if you're looking at the other direction. RBT cannot be replenished and should be used wisely. A Survivor can be trapped with an RBT as many times as you have RBTs left. 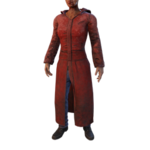 For additional and more detailed information about the Character of Amanda Young from the SAW™ franchise, please refer to the SAW™ Wiki Article. The Pig is the fourth female Killer. Unlike most other female Killers, she has a normal movement speed. 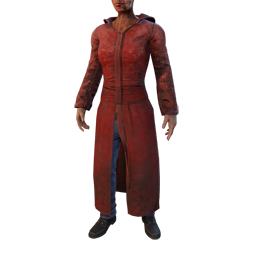 The Pig is the second shortest of all the Killers (first being The Legion), barely taller than the average Survivor. The Pig is the first Killer to have a second interaction with downed Survivors other than the Memento Mori . The Pig is the second Killer to have a secondary attack mode (Standard and Ambush) along side Doctor . 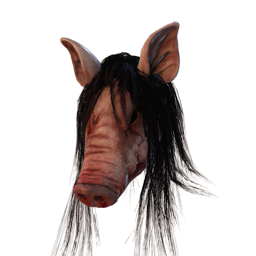 The Pig is the fifth Killer to wear a Mask. The Pig is the seventh licensed Character and the fourth licensed Killer. When crouched, Crows are not alerted to your position. The Pig is the first Killer with two different weapon cool-downs. 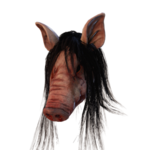 Due to being short, The Pig, unlike most other Killers, who simply step over Windows when vaulting, grabs the Window with both hands and lifts herself over it.